Hello everyone! I hope you are having a very Happy halloween! Today, in my studio, it's snowing! I am showing off the limited edition Snowflake Showcase products that will be available tomorrow, November 1st. These products will only be available until November 30 or until supplies run out. I will be live on Facebook showing you today's projects. If you miss it, I will upload the recording here when I'm done. Today's project was inspired by a video I saved years ago on Pinterest. 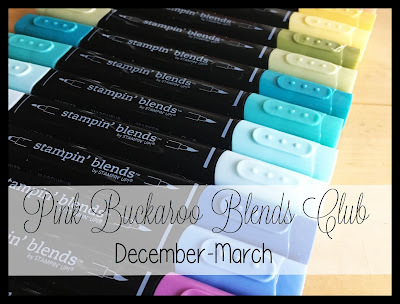 She used watercolor paints and I wanted to see if I could achieve the same thing with our Stampin' Up Classic Ink. And, I love how it turned out! This one was made with Gorgeous Grape and Melon Mambo. This one was made with Lovely Lipstick and Pineapple Punch. This one was made with Bermuda Bay and Coastal Cabana. You can see the full selection of Snowflake Showcase products here. Remember, they'll be available beginning on November 1st. I also used the Frosted and Clear Epoxy Dots and Rhinesones to embellish the card. I used the Hexagon Embossing Folder to create texture on the Watercolor Paper. I colored each piece with an Aquapainter and spritzed them with Frost White Shimmer Paint mixed with rubbing alcohol in a Spritzer. 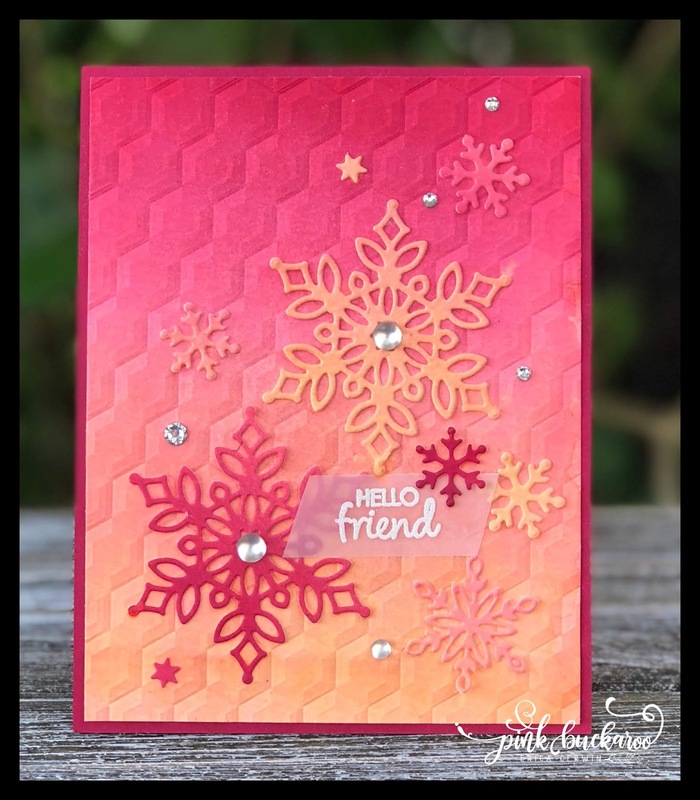 You can find the heat embossing supplies here. 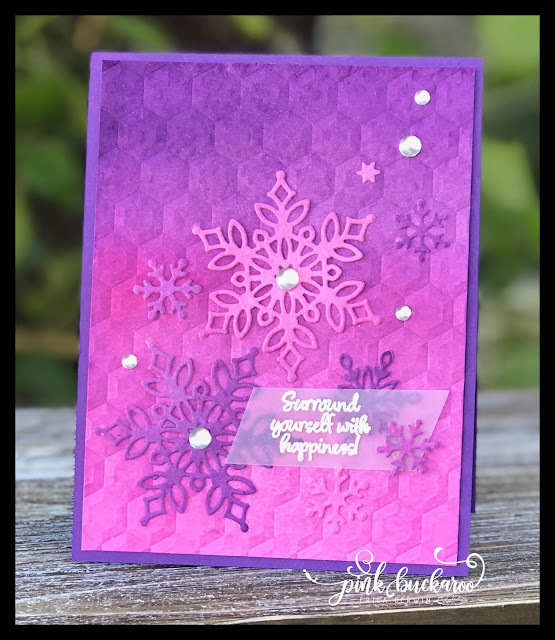 I will be showcasing three more Snowflake Showcase products on Friday on my Facebook Group Page. Make sure you've joined the group page so you won't miss it! Hello everybody! It's time for another Facebook Friday and this week it's all about the super fun Takeout Treats Bundle. First up, I'm going to show you how to make a TINY Takeout Treat Box. This one is smaller and cuter than it's normal sized brother! Next, were making a bigger box that has Buffalo Check on the inside. It's a S'mores Snack! Fun, right!? And last is an extra long Takeout Treat Box that features a fancy punch art pumpkin. 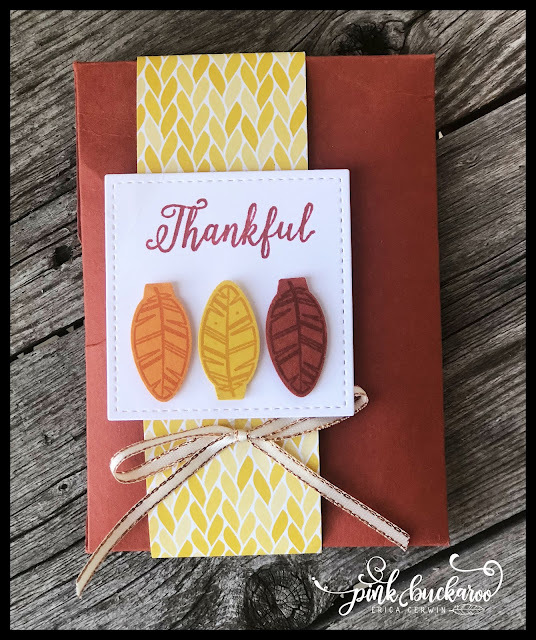 Perfect for your Thanksgiving treats! And, I had a bonus project on Tuesday also using the Takeout Treats Bundle. 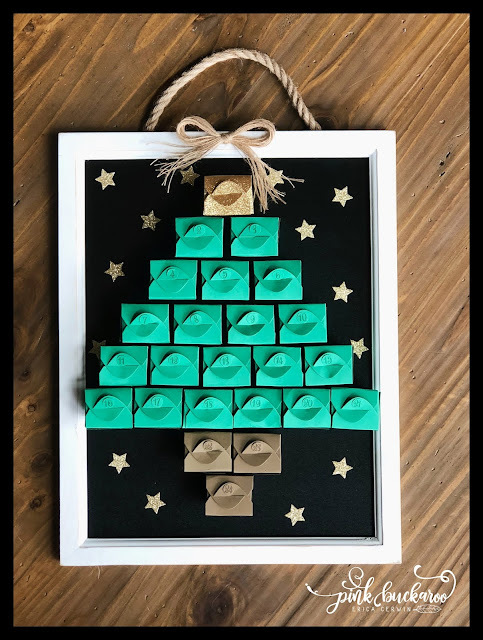 You can find the details for this adorable Advent Calendar here. get October All Star Tutorial Bundle for FREE! You must use Hostess Code 6WSSE2DF. Congratulations to the winner from last week: Marianne McGinnis won the Spirited Snowman from Tuesday's FB Live and Trisha Magnus and faith Middleton won the Peaceful Noel products. I appreciate you ladies! 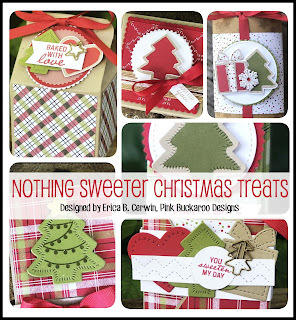 This week I'm giving away an entire Holiday Catalog Paper Share BOTH here and for sharing the video! Facebook Live on November 2 (2:00 CST)! It will close on November 2. $75- San Antonio Live Event- just a few spots left! Take a day just for you and get all of your holiday crafting completed in a fun and relaxing atmosphere. Let me spoil and surprise you all day long while you have fun crafting, chatting and indulging on yummy treats. 11 hours to craft on anything you want! Bring all those projects you've been meaning to get to! You'll have plent of time to get lots of your own crafting done. Our make and takes will all be Christmas themed. 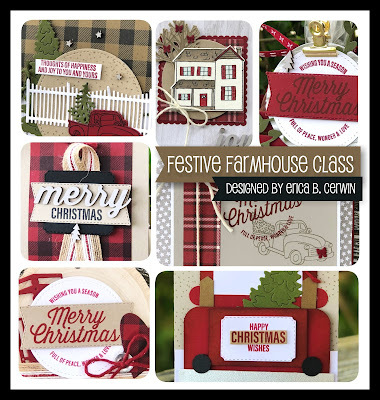 We will be using the Festive Farmhouse suite from the Holiday Catalog. You can see a sneak peek of the projects above. If you are interested in just the PDF tutorials of my retreat projects, you can find them here in my PDF store. Bring your own projects to work on at your leisure or add on any of the class kits listed below. I will have my stamps and tools available to use that day on any project you'd like! Make and Takes will only take you a couple hours at most so you will have the rest of the day to work on anything you want. RSVP Deadline is Friday, November 9th. To allow everyone ample space to craft, I am limiting the number of participants. Please note this event is at a new space: The Courtyard Marriott on 151 near Sea World. If you would like for me to provide some fun holiday crafting for you that day, I have several options for you! Each of these options can be added to your registration. Create six adorable treat holders for Christmas! Kits include six make and takes, a bolt of Cotton real Red Ribbon and a full color PDF. This class is also available on it's own, without the retreat. You can see the full details on this class here. PDF Tutorial available here in my PDF store. Creat 12 handmade card each featuring the Dasing Deer bundle. 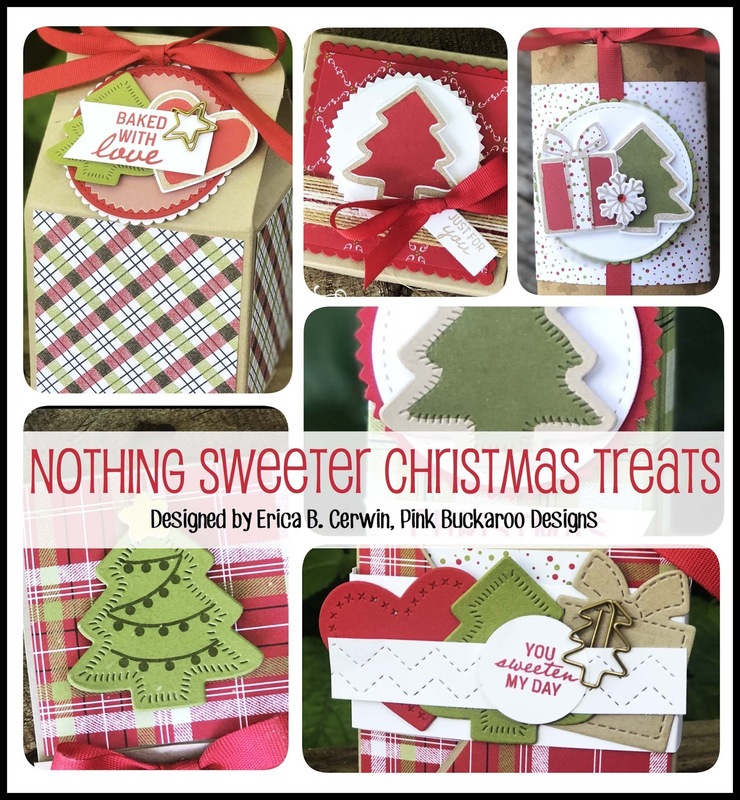 Kits include make and take materials for 12 cards (and envelopes,) these are four designs, three cards each, a bolt of Garden Green Baker's Twine and a package of Snowflake Trinkets as well as a full color PDF tutorial. You can see full details on this class here. PDF tutorial available separately here in my PDF store. Give your presents in style with handmade gift tags. *This option is only available for local because it won't fit in the to go box. 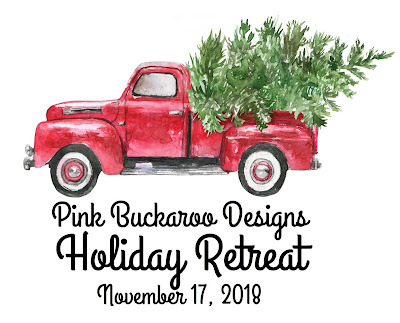 Email me to register either for the local retreat. Hello everyone! Today, I have sweet card to share with you. 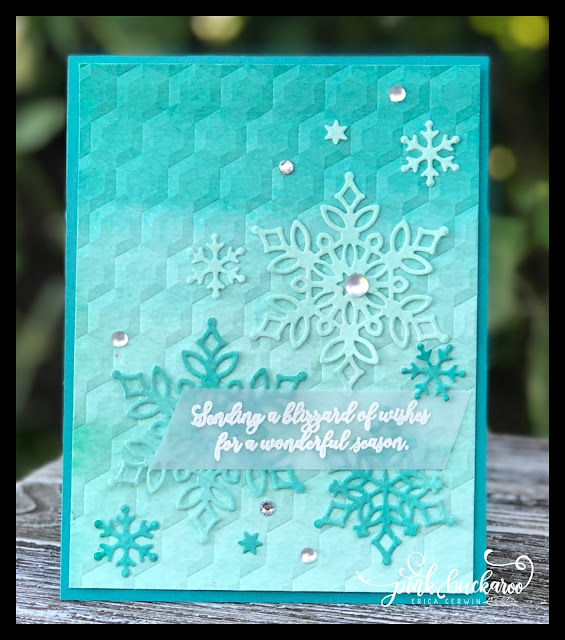 It features the Wishing You Well stamp set from the 2018 Holiday Catalog. 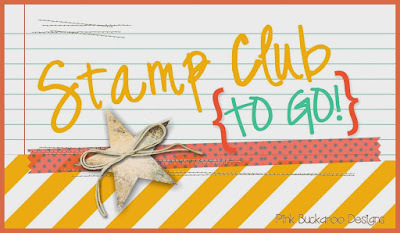 This card was created for my Stamp Club To Go members this month. I wanted to use emoting "Fallish" and this set really stood out. It's a very simple set that stamps beautifully. It doesn't require any fuss and it's perfect for new stampers or for those who want to keep things simple. The beautifully layered bow is actually one stamp! Isn't that neat? I love how it looks dimensional. The card is a simple Fancy Fold card. It's a regular card base, 5 1/2" X 11", but it's scored at 2 1/8" and 4 1/4". We did a card just like this last week during Facebook Friday. The Designer Series Paper is the Country Lane pack and the colors I used are Blackberry Bliss and Crushed Curry. Speaking of Facebook Friday- don't forget to join me tomorrow at 2:00 CST on my Facebook Group Page. I will be making three different Takeout Treat Boxes!